Welcome to Auto Euphoria, We are your dealership alternative. 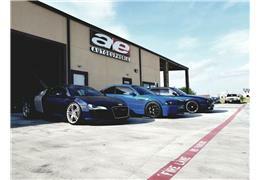 A full service auto repair and performance facility. We perform high quality, guaranteed service you can trust at a fair price. We repair domestic and foreign vehicles and are your best choice for scheduled maintenance of your vehicle. Factory trained and certified in AUDI/VOLKSWAGEN, BMW/MINI, MERCEDES, JAGAUR, RANGE ROVER, HYUNDAI, NISSAN/INFINITI, TOYOTA/LEXUS, HYUNDAI/KIA, AND MITSUBISHI, however we repair all makes and models.